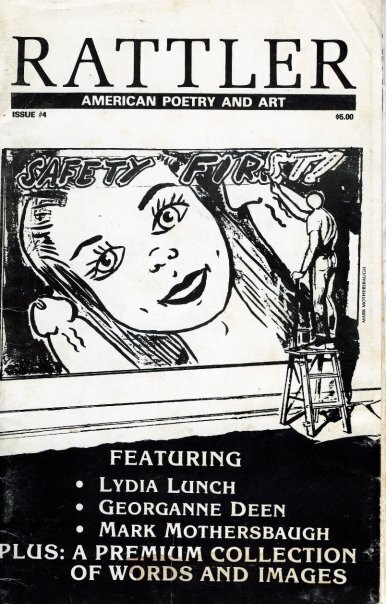 One of my first literary ventures, expressions, was a zine, published in America of all places. Edgy of course, Rattler, edited along with ex-husband filmmaker, writer and musician Peter Haskell, featured a significant number of now established Los Angeles poets, authors and artists. Despite brutal economic times and evolving technology, true to their nature, alternative presses persevere; Poetry Is Dead, subTerrain, McSweeney‘s, Event, CV2, Broken Pencil, to name a few. In that spirit check out this new book on the subject, The Little Magazine In Contemporary America and an eclectic list of submission calls at Aerogramme Writer’s Studio.